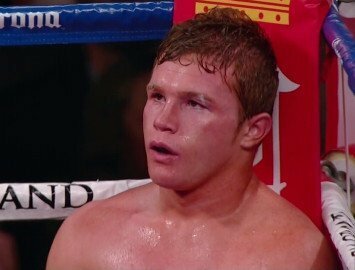 If I was WBA/WBC junior middleweight champion Saul “Canelo” Alvarez I would pinch myself because he has been given a huge advantage in what will become the most important fight of his life. Floyd Mayweather Jr. is clearly underestimating his opponent by not calling for a catch-weight or a rehydration limit. This will hurt Floyd greatly and he may soon regret this dubious decision! Boxing is a sport where respecting your opponents strengths is of the utmost importance. In this case, Floyd seems oblivious to Canelo’s physical strength and punching power. Floyd Mayweather seems to believe that allowing Canelo Alvarez the extra weight will make him slower and thus make it easier to pop shot him and win a decision! This could be a miscalculation by Mayweather because Canelo Alvarez has fast hands regardless of the weight he is carrying. Is he as fast as Floyd? NO, but he does hit harder and with more power. He is also younger with good defensive skills himself. He is a fighter who fights in bursts and isn’t the all out aggressive type. He sets traps. He counter punches, he leads, he cuts the ring off well, and, don’t forget, he hits hard. He isn’t a one punch knockout artist but he has enough pop in his punches to drop and hurt Trout (who had never been down in a professional fight at that time). Since moving up in weight though, his knockouts have diminished! I believe Floyd Mayweather has broken the cardinal rule of fighting. The rule I refer to is to always respect your opponent. Never give him an inch. The fact is, Floyd should have asked for a catch-weight and a rehydration limit. Of course, if he wins despite this, you gotta tip your hat to the guy. What a performance that will be. Based on the fact that Floyd seems to be taking his opponent too lightly I”m gonna put my money on Canelo Alvarez by decision. The rematch will be the stuff of legends! Next boxing news: I’ll Take That Bet – Alvarez vs. Mayweather Jr.
You are here: Home / Boxing News / Is Floyd Making A Big Mistake with Canelo?